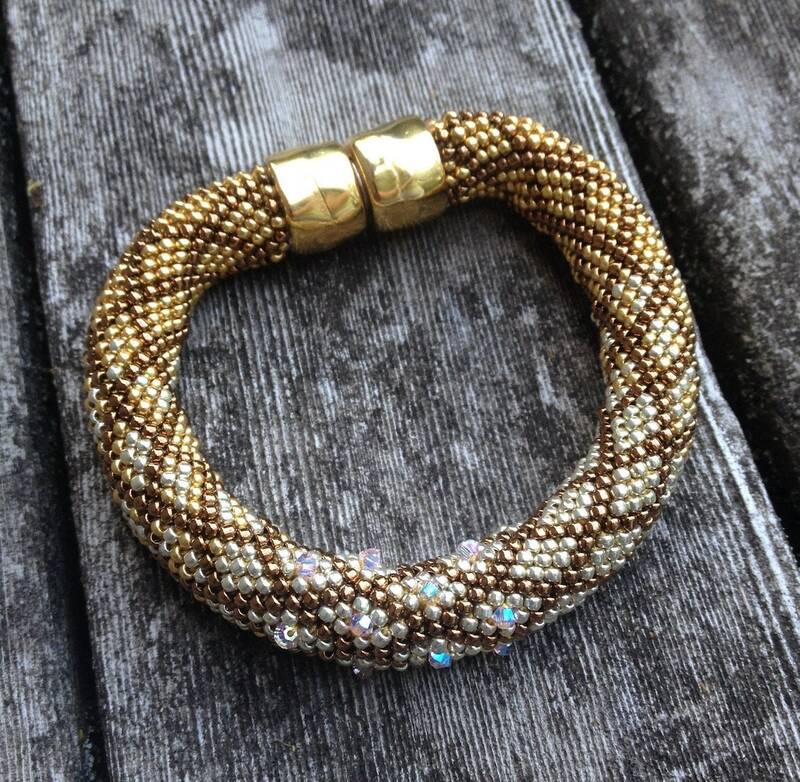 The original OMBRE' Bracelet pattern as seen in "Bead & Button" magazine in this unique Gold/Silver/Bronze Colorway featuring Swarovski crystals. 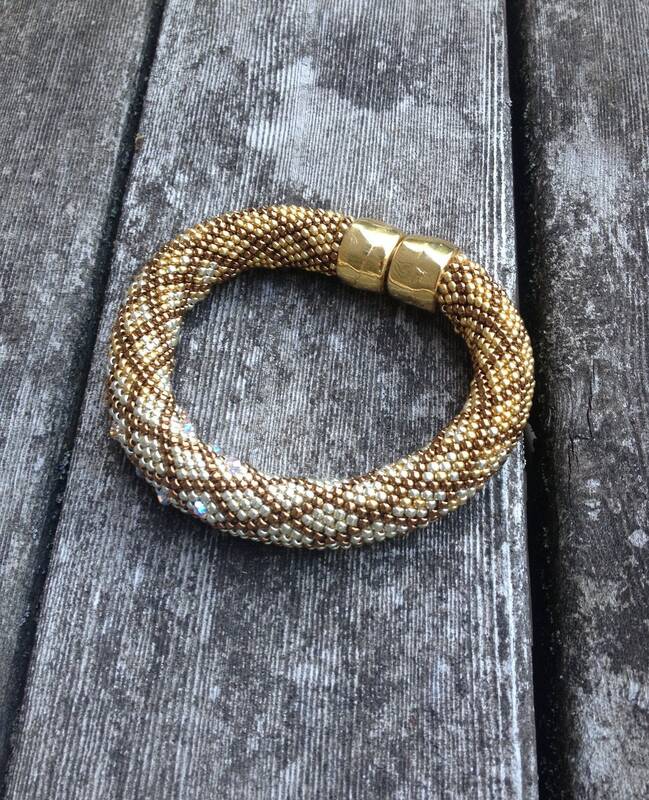 This bracelet is bead crocheted in 16-around and this pattern is a downloadable document. 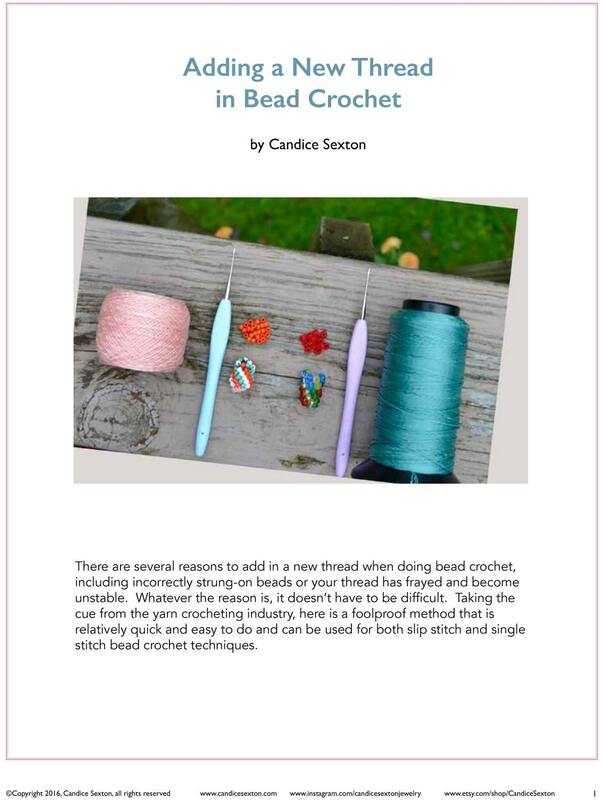 ALSO INCLUDED - Instructions on how to crochet the bracelet, including many pictures, the pdf file, "How to Join Thread," and "Helpful Hints." 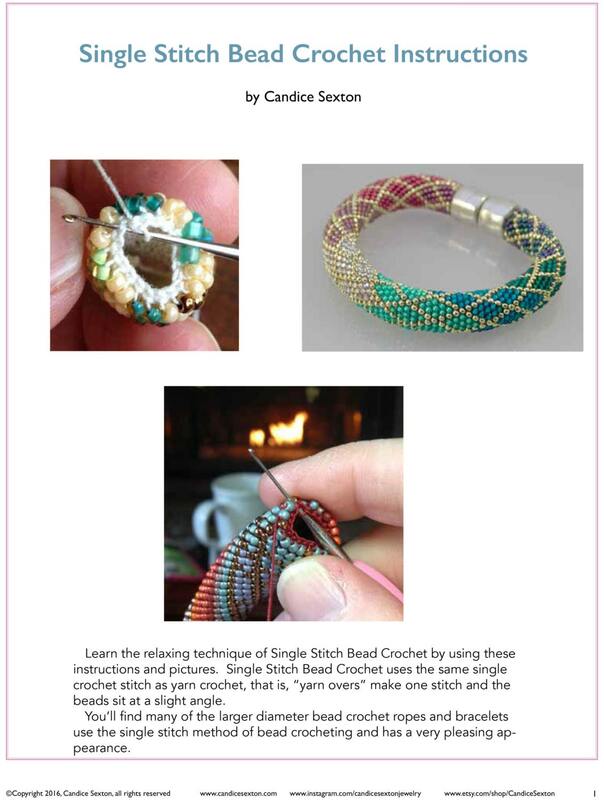 You are purchasing 4 downloadable pdf files and 1 jpg file - the bracelet pattern, the Single Stitch Bead Crochet instructions, How to Add Thread, Helpful Hints and a close up image of the stitching. 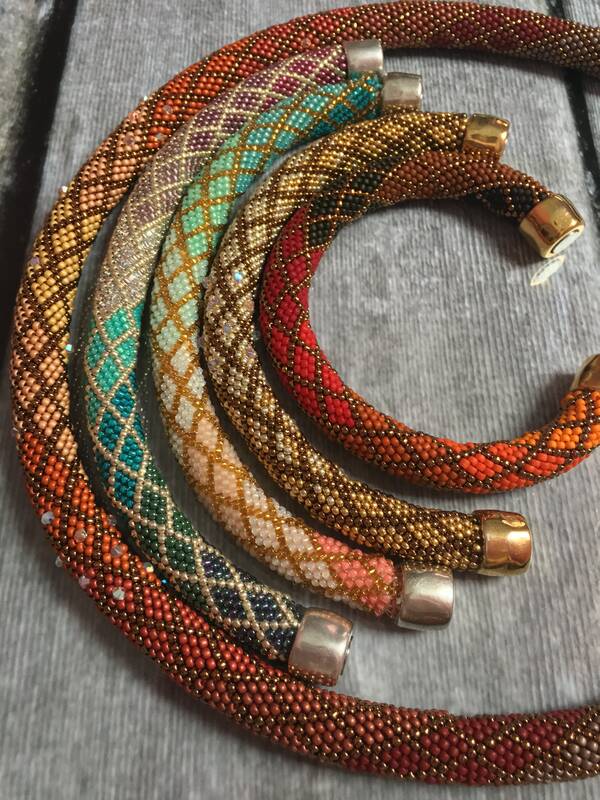 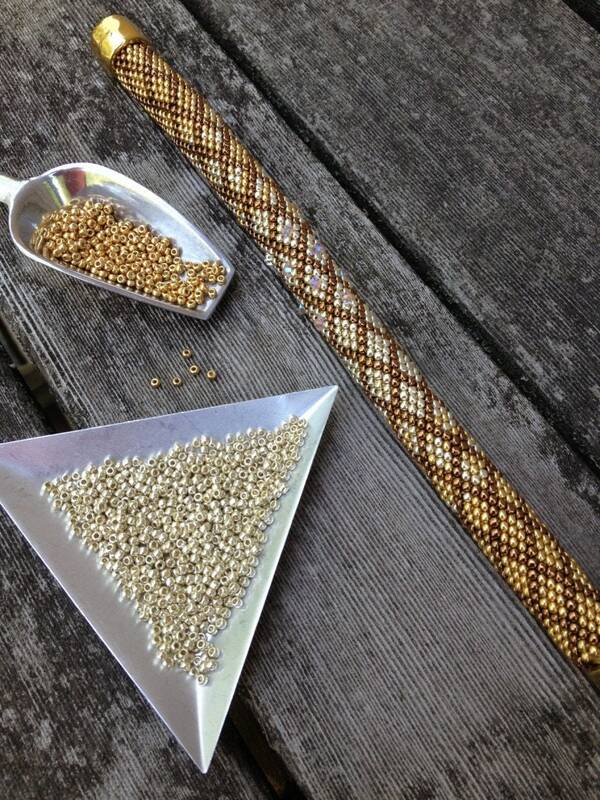 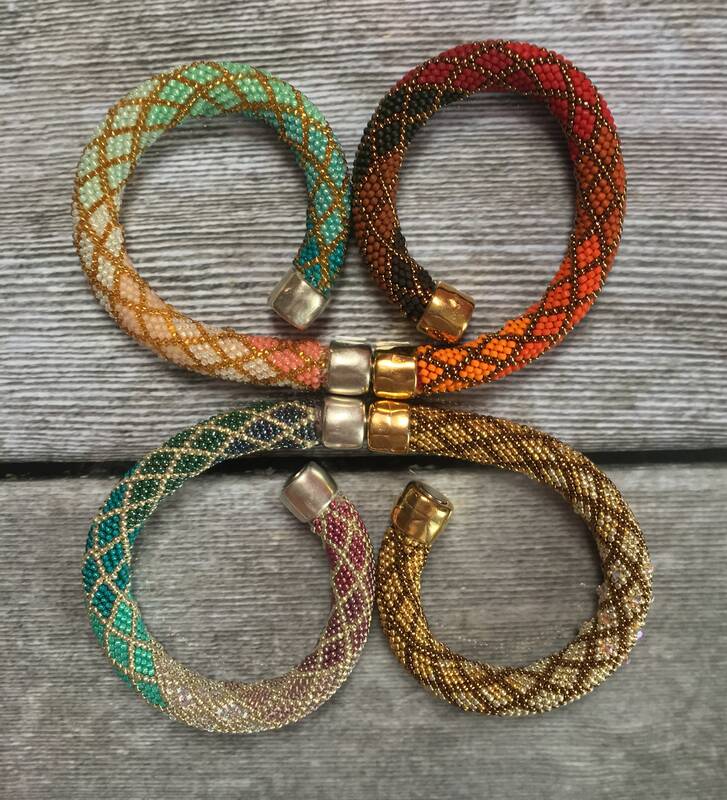 Pattern includes 1 pattern for the Gold/Silver Bronze with Swarovski crystals bracelet colorway and includes all seed bead colors and weights.